Gerald Schroeder is a scientist, author, and lecturer, with over thirty years of experience in research and teaching. In addition to his current work in radiation control, he teaches at Aish HaTorah College of Jewish Studies, and writes and lectures on the extraordinary confluence of modern science and ancient biblical commentary. Schroeder received his Ph.D. from the Massachusetts Institute of Technology in nuclear physics and earth and planetary sciences, with his doctorate thesis being under the supervision of physics professor Robley D. Evans. This was followed by five years on the staff of the MIT physics department prior to moving to Israel from the United States in 1971, where he joined the Weizmann Institute of Science, and then the Volcani Research Institute, while also having a laboratory at The Hebrew University. The scientific career that Schroeder chose has given him varied and often unusual experiences. In his work with nuclear disarmament, he has been present at the detonation of a long series of nuclear weapons [atomic bombs]. Work in control of radioactivity has put him hundreds of meters below ground in U.S. and foreign uranium mines. Within this research, he invented and had patented the first real time monitor for airborne alpha beta gamma emitters. The government of the People’s Republic of China, during the decade before it established direct contacts with Israel, was willing to overlook his Jerusalem address and had him as a frequent advisor. He also has consulted for agencies of the governments of Philippines, Malaysia, Singapore, Canada, USA. Invitations for him to lecture have come from around the world. He has over 60 publications in the world’s leading scientific journals on topics ranging from the radon atmosphere of the moon (in Science) to the metabolism of mother’s milk (in Nutrition Reports International). 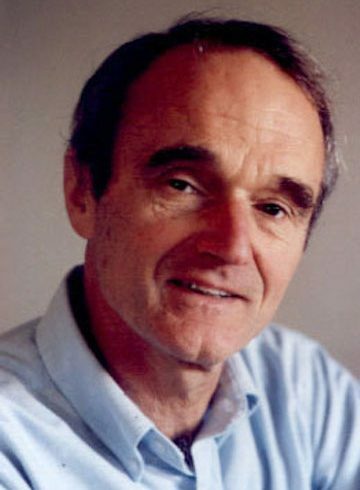 The results of Schroeder’s work have been reported in Time, Newsweek, Scientific American and in newspapers as far apart as Boston and Adelaide. His formal training in chemistry, physics and the Earth and planetary sciences provides the basis for the broad scientific perspective he brings to his books and lectures. For over twenty-five years, Schroeder has also pursued a study of ancient biblical interpretation. An ability to handle the biblical material in the original languages allows him to tap the subtle depths contained in the original texts. These nuances are often missed when working with translations. 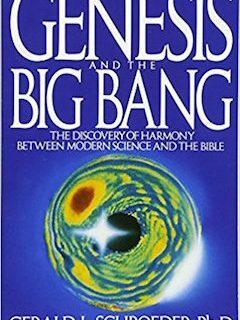 The uniqueness and success of Schroeder’s approach integrating biblical and scientific knowledge is demonstrated by the success of his first book, Genesis and the Big Bang, and the wide acclaim for his second book The Science of God, which was on the Barnes & Noble list of non-fiction best-sellers and was Amazon.com’s best-selling book in the field of physics/cosmology for all of 1998. This was followed by The Hidden Face of God, discovering the unity that binds all existence. His book, God According to God, A scientist proves we’ve been wrong about God all along, was published in 2009 and has enthusiastic endorsements by leading theologians, both Jewish and Christian, and a Noble Laureate scientist.